We treat our pets like family members, but it seems as if they have a natural desire to destroy carpet. Whether they decide to claw and scratch at the carpet or urinate on it, they seem to enjoy ruining carpets and area rugs. There is no need to replace the carpet if you find yourself in this situation. If you find yourself in this situation, contact us immediately to discuss carpet repair options. 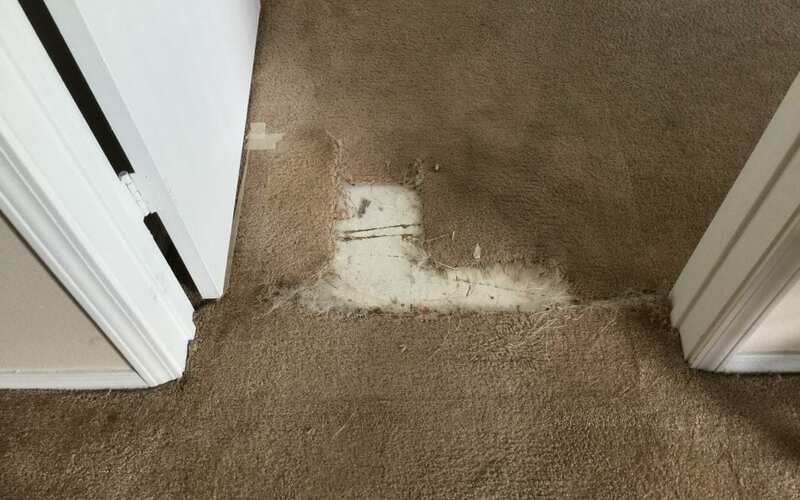 Our customer in Phoenix had pet damage to the carpet in a doorway. His pet became bored and started to digging the carpet right at his bedroom door. We cut out a piece of carpet from the closet to use for the patch repair. Call (480) 360-4430 for a free estimate over the phone!